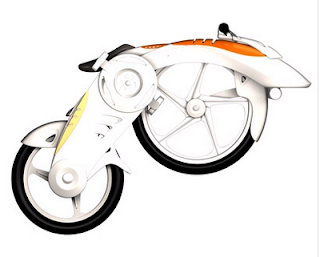 For students, designing a concept vehicle usually means producing lots of renderings, but an industrial design student at the Ho Chi Minh City University of Architecture actually built one that runs. 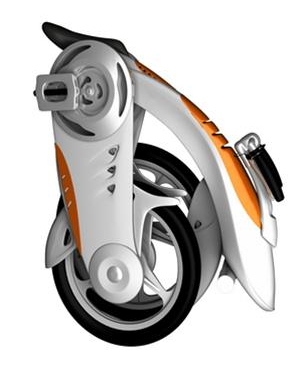 Truong Minh Nhat's Capella is a lightweight, compact electric bike that folds into a backpack. 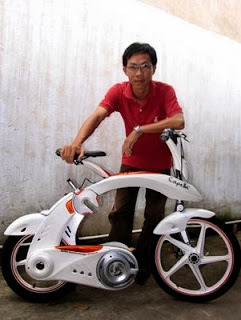 Truong sourced the parts from local manufacturers, convincing several of them to make the bespoke components demanded by his design: "I had to convince and explain a lot to bike component makers, although I was making only one and offered them high prices." The Capella was Truong's senior thesis and has a 12-kilometer range. 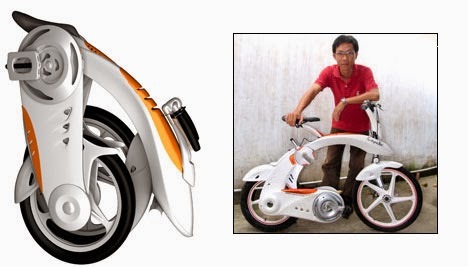 Now that it's complete and functioning, Truong has obtained intellectual property rights and is fine-tuning the design, hoping to get the weight down to just 10 kilograms, before seeking a Vietnamese-market manufacturer.